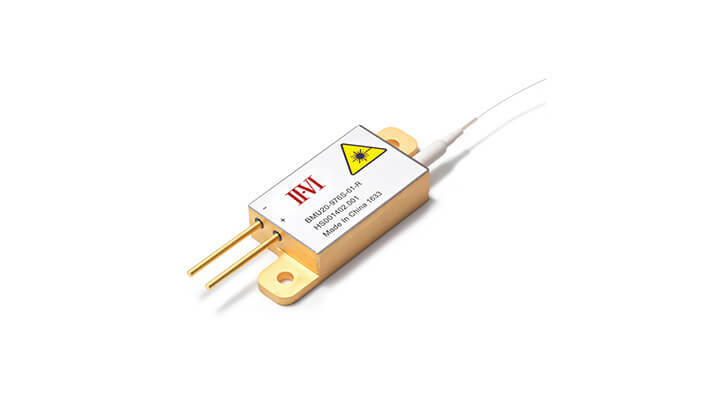 II-VI's new multimode single emitter based laser diode module BMU40-9XX-02-R has been designed to provide an increased power output enabling fiber laser and direct system manufacturers to generate higher powers with fewer modules, allowing for more compact pump configurations, greater pump block efficiency and simplification of packaging. Its compact design reduces the footprint of fiber laser pump stages. The module features a new generation of multimode laser diodes with E2 front mirror passivation that prevents Catastrophic Optical Damage (COD) to the laser diode facet. The laser diodes are connected in series to allow for fast current switching. The module includes a feedback protection filter that protects the laser diodes from harmful fibre laser wavelength feedback light.